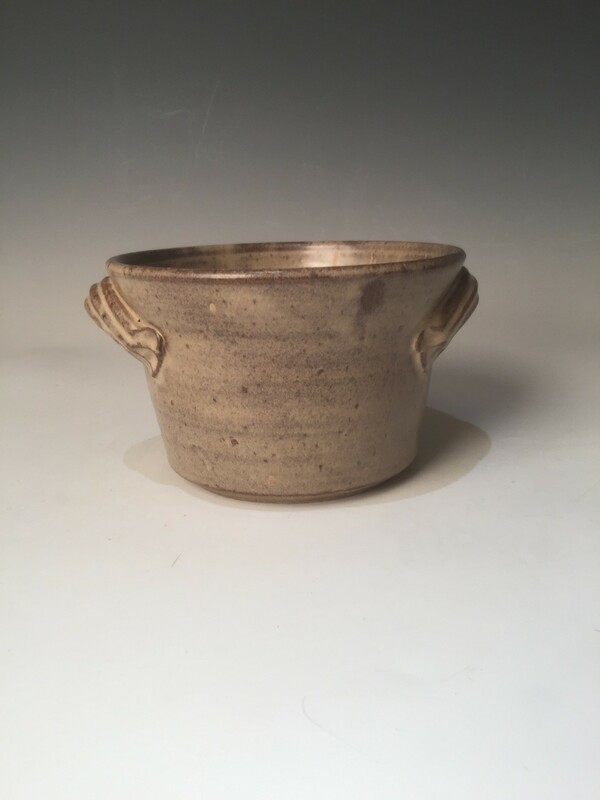 Hand turned Bread Bucket glazed in our original Sand pattern is beautiful enough to set on your counter top between uses. it measures about 5 inches tall and is about 8 inches across at the top. tapered to the base it is about 6 inches across at the bottom. Our stoneware Bread Bucket is microwavable and oven safe and cleans easily in automatic dishwasher. When baking place Bread Bucket into cold oven and allow to preheat at the same pace. Stoneware is known for its very even temperature makes wonderful breads easy. High fire glaze is super non stick.